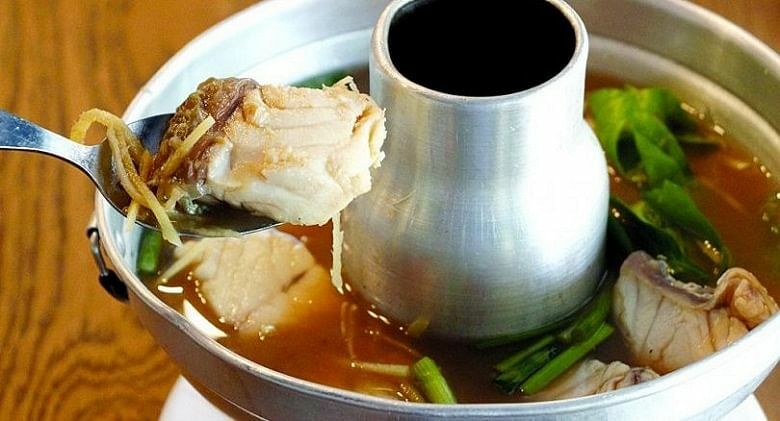 (THE NATION/ASIA NEWS NETWORK) - When it comes to the spicy burn of Thai food, Hung Sen, a popular restaurant newly relocated to Saladang Soi 1, hits just the right notes. Judging by the number of families and office workers from the neighbourhood stopping in for a quick lunch or dinner, the place is a gourmet magnet. People who are very fond of noodles established Hung Sen, as the name suggests. “Hung” refers to cooking rice and “sen” means noodles, and in Chaozhou Chinese, “hungsen” also means noodles. Hung Sen the restaurant is known in Bangkok, operating in its original location at CentralWorld for seven years. Though it has now relocated, it offers the same dishes with the same winning qualities. The two-floor restaurant has a hip, modern style with high ceilings, their dark blue trim contrasting with the white furniture, lush green potted plants and orange brick wall decorated with tantalising photos of the food. Hung Sen can accommodate up to 50 diners in cosy surroundings. 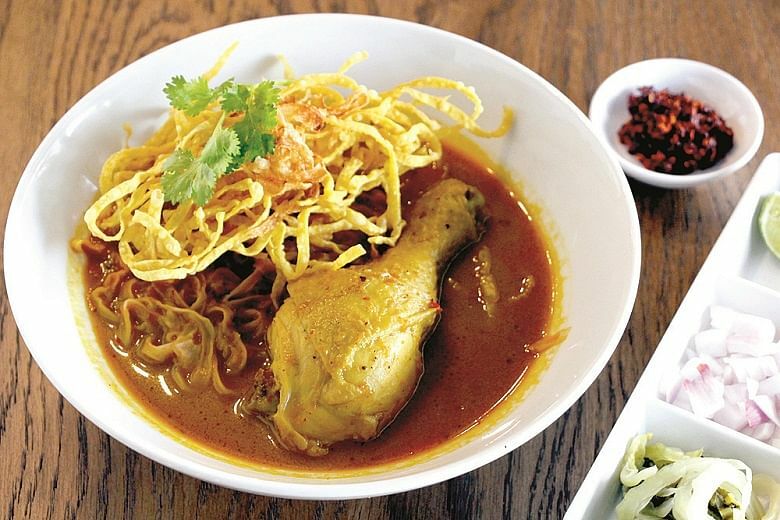 With a menu mainly about noodles, Alisa and her partner Saovaluk Siwapornchai have gone for a street style in creative recipes, high-quality ingredients and attention to detail. Sukhothai Rice Noodles with Kurobuta Pork (120 baht or S$5) is a recipe from Alisa’s grandmother, the dish delightfully sweet and (slightly) sour and scented with lime. It features the Kurobuta pork tenderloin, ground pork, pork crackling and a parboiled egg. In Chicken Stir-Fry with Rice Noodles (70 baht), the noodles form a soft outer frame for the meat. 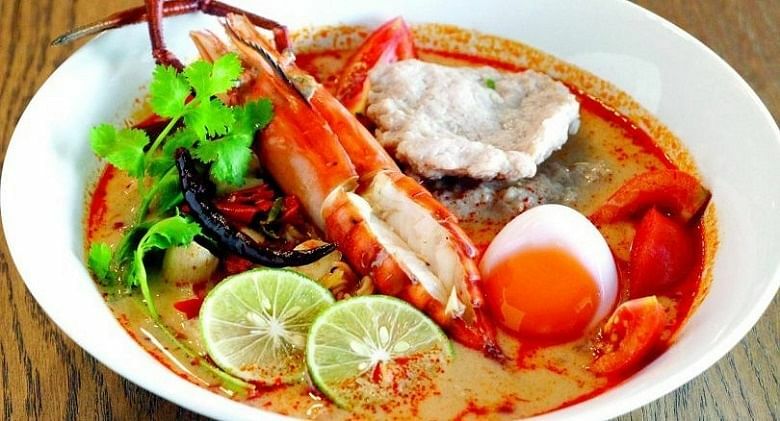 For fans of prawns, Tom Yum Kung Noodles (185 baht) and the Pad Tai (125 baht) both contain large river prawns and boast intense flavouring along with soft noodles. 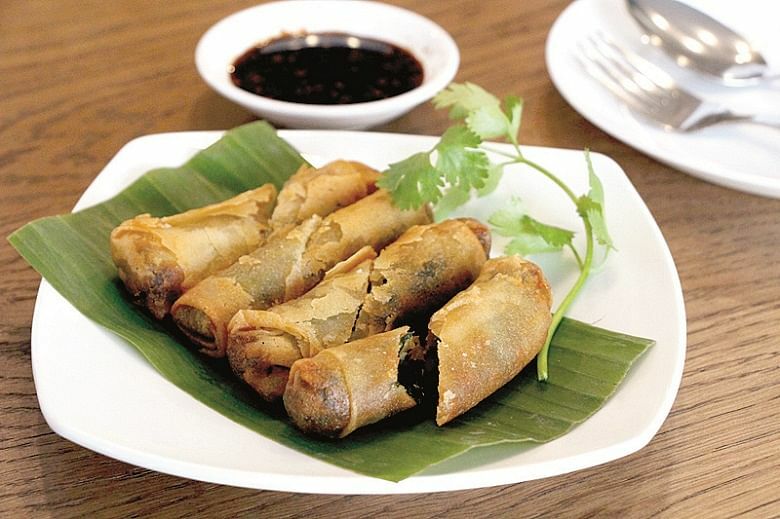 Non-noodle dishes include Stir-fried Garlic Chives Spring Rolls (80 baht). The frying, as opposed to the usual steaming, makes them extra crispy and golden-brown. There are about 20 kinds of spicy papaya salad on the menu. One highlight has to be Tum Luang Prabang (80 baht), whose unbeatable ingredients are pickled-fish sauce and shrimp paste. The papaya is also sliced thinly instead of chopped, so it has both a different look and different texture. 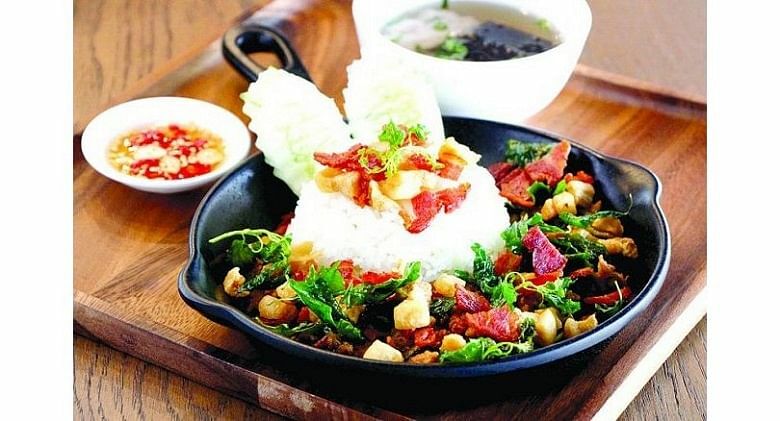 On the rice menu is Khao Kra Prow Sam Mhoo (100 baht), featuring stir-fried basil, minced pork, bacon and pork crackling served with clear soup. “We offer new and different dishes every month,” Alisa says. 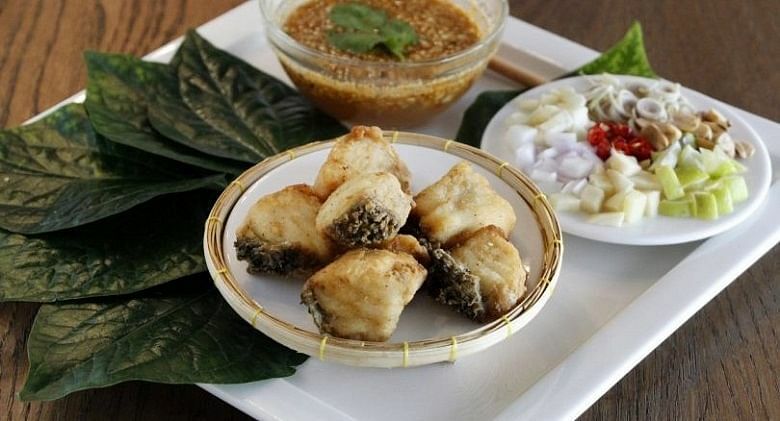 “Having grown up with my grandmother, I realise now that a lot of traditional Thai dishes have been forgotten. But we serve them here. “One of my favourites is mieng kham pla, with chopped lime, shallots, ginger, roasted coconut, dried shrimp and peanuts, all eaten with chaplu leaves and sweet and sour chilli sauce. I add a little twist by adding a single bite of deep-fried fish. The Mieng Kham Pla costs 180 baht and the Tom Som Pla Krapong 255 baht. Hung Sen also does catering and can deliver lunch boxes. Look it up on UberEats, Honest Bee or Line Man.